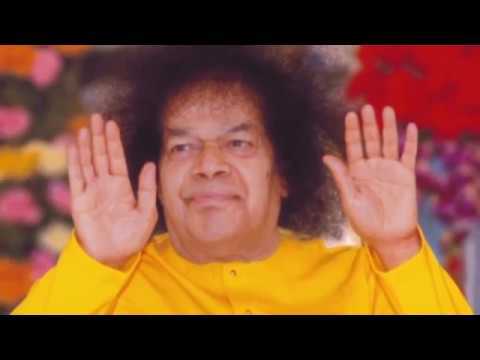 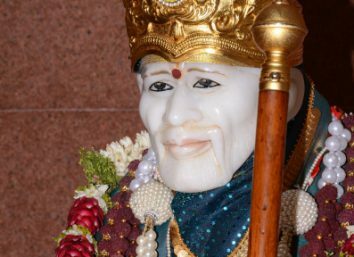 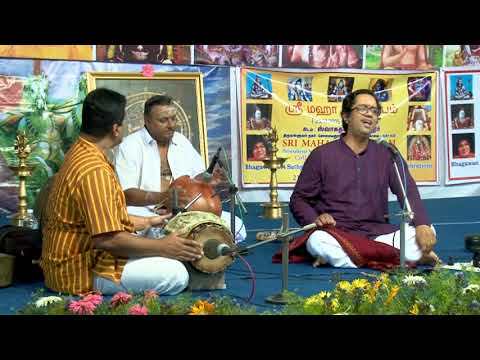 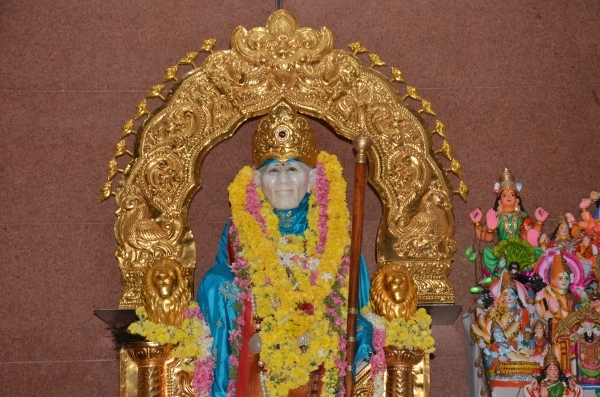 ‘Swagatham Sai’ – Welcoming the Lord ! 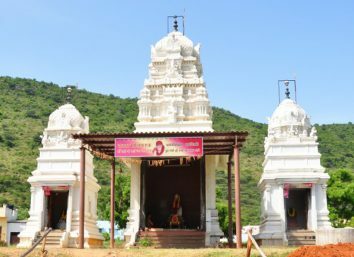 Swagatham Sai Mandir is located near Somayanur, about 2 kilometres from Kanuvai on the Thadagam Main Road, in Coimbatore, Tamil Nadu, India. 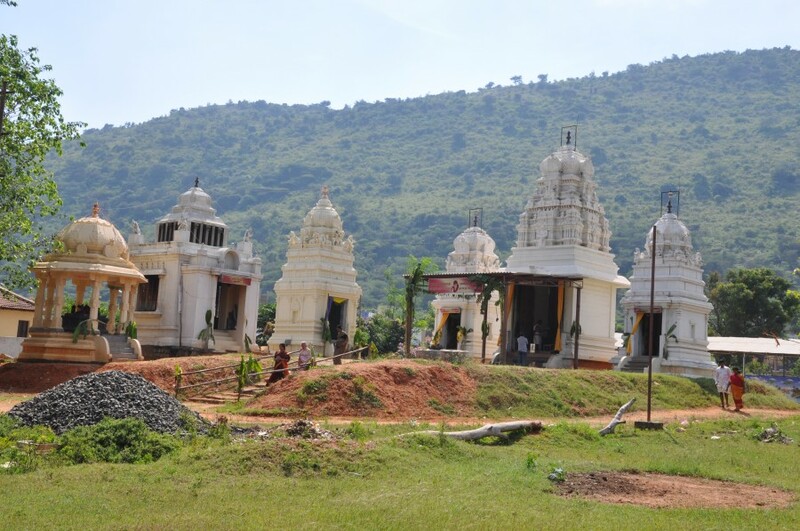 It is set against the backdrop of sylvan hills amidst tranquil surroundings. 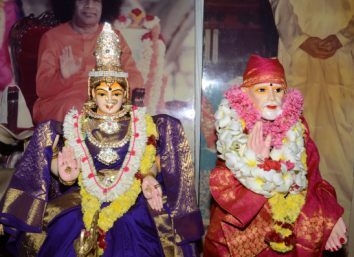 The Bhoomi Puja (foundation stone laying ceremony) for the mandir of Bhagawan Sri Shirdi Sai Baba was done on June 19th, 2005 and the Kumbabishekam took place on Saturday, November 19th, 2005. 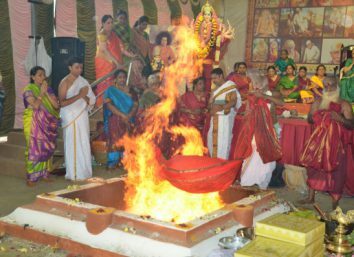 Subsequently, the shrines of Lord Ganapathi, Goddess Mahalakshmi and a Dhuni were constructed, for which the Kumbabishekam was performed on Thursday, August 30th 2006. 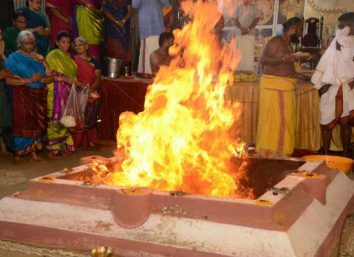 The Dhuni has been sanctified by being lit by a lamp lit and brought all the way from the Dhuni at Shirdi. 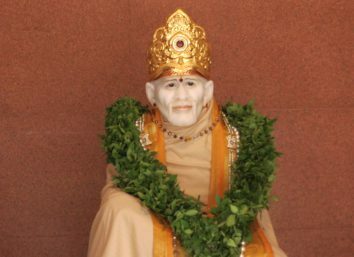 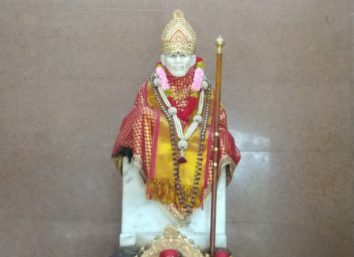 The vast area which forms a part of the Mandir premises has been used for performing various homams for Loka Kshema, during Bhagawan Baba’s birthday celebrations.